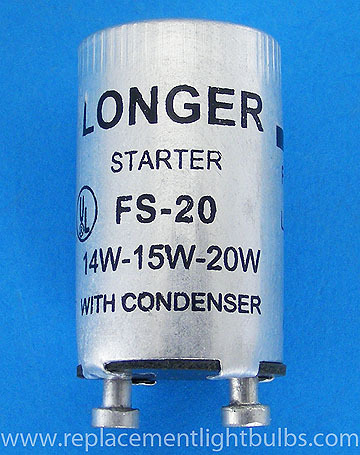 FS-20 Aluminum Fluorescent Starter For 14W, 15W and 20W Fluorescent Lamps. Can replace FS-22 starter also designed to start 14W, 15W and 25W linear fluorescent lamps. For use with F14T8, F14T12, F15T8, F15T12 and F20T12 Preheat Lamps.